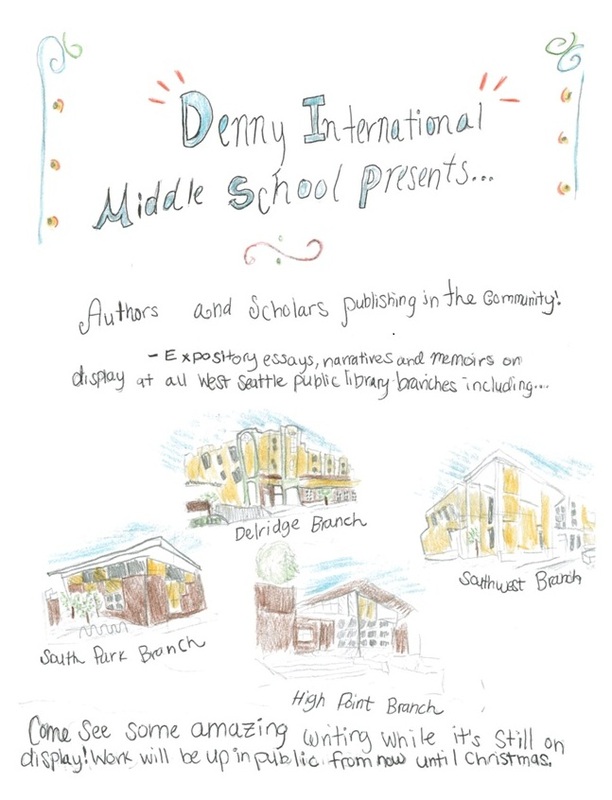 These essays from Denny Middle School students will be up until the end of Winter Break at the Southwest, Delridge, High Point, or South Park branches. Schedule a visit soon to see these great expository essays about how to survive a zombie attack, the plight of elephants, why dead bodies are scary, and much much more. You can also take a look at some of the past pieces created by Denny Middle School writing at their blogs for 7th and 8th graders. This entry was posted in Blog Love, Community, Homework, Libraries, Opinions, School News, Teen Powered, Writing and tagged Community, exhibits, Homework, Libraries, made by teens, middle school, Opinions, schools, written by teens on December 25, 2013 by Teen Blogger.